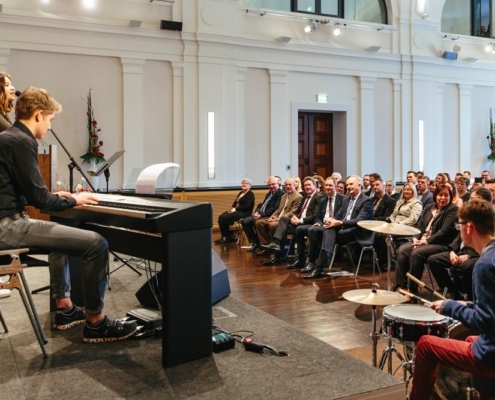 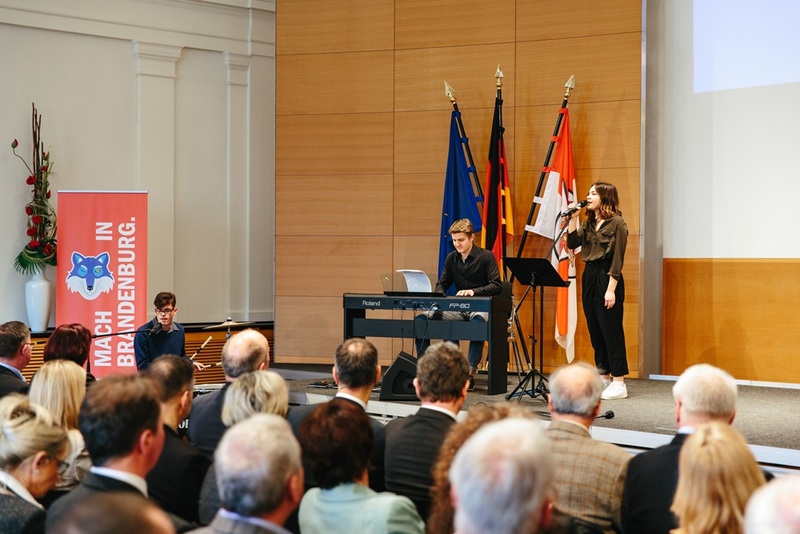 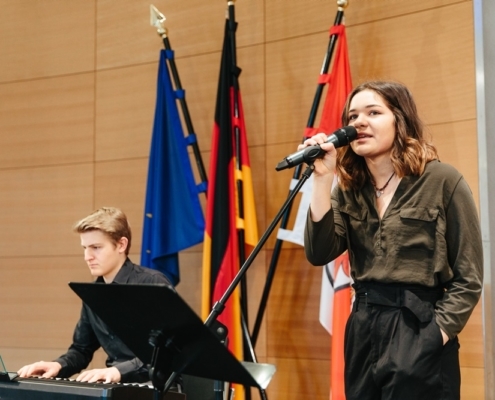 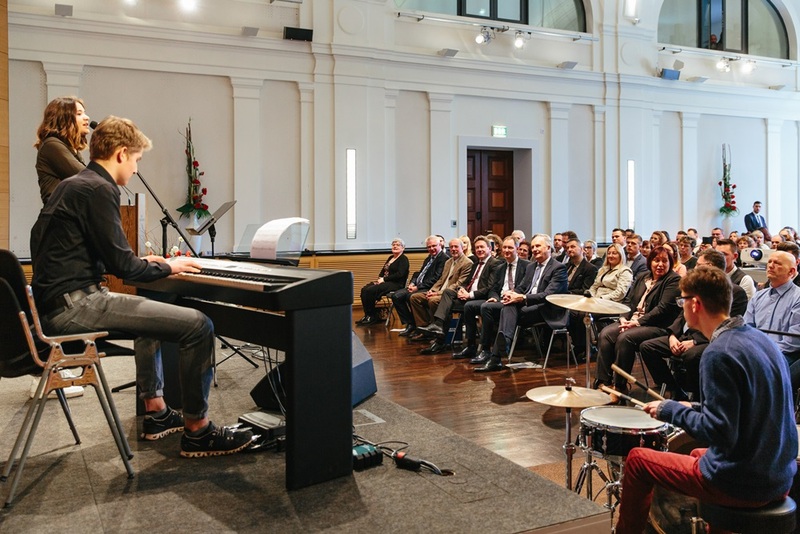 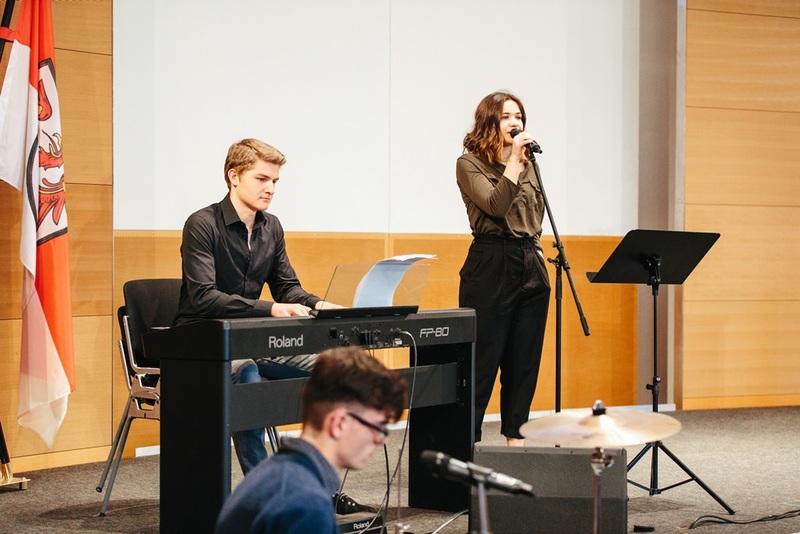 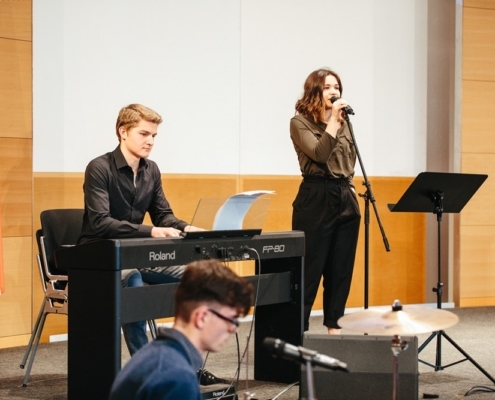 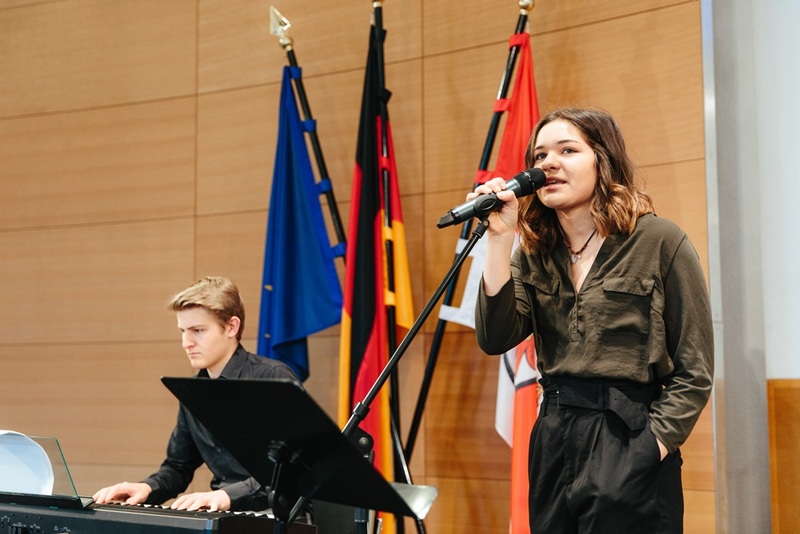 A trio of the music school Bertheau & Morgenstern played at the Brandenburg State Chancellery on Friday, 29 March 2019. 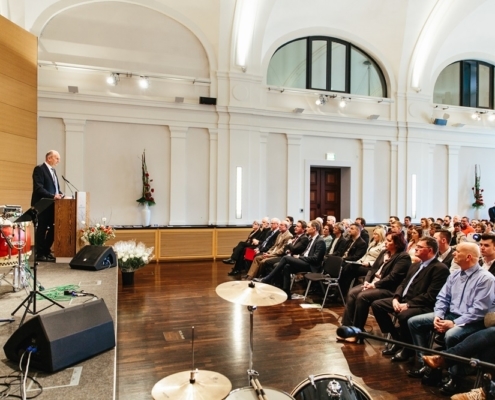 Graduates with higher degrees of the Chamber of Industry and Commerce (IHK) Brandenburg 2018/2019 were honoured. 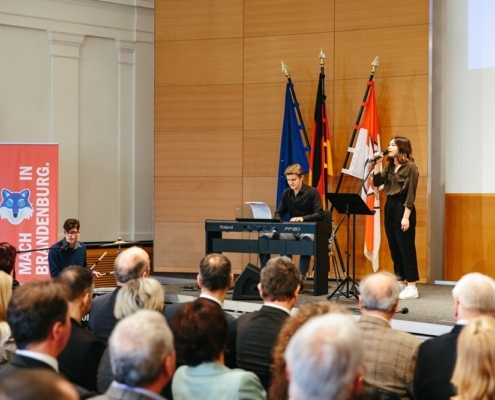 Sara, Max and Lukas’ swinging music provided good mood and enthusiasm among the 120 invited guests. 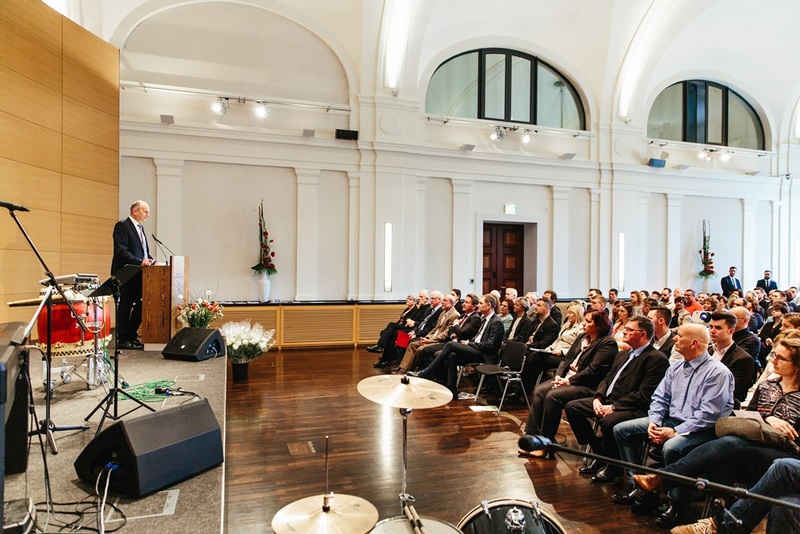 Prime Minister Dietmar Woidke presented personally the certificates.